“I bet you save a life every day with the stuff you teach,” exclaimed one City of Fort Collins Bus Operator after taking the Bicycle Friendly Driver class. This is just one of the many testimonials that demonstrate the effectiveness and value of the Bicycle Friendly Driver program, created by the City of Fort Collins. The curriculum aims to educate motorized vehicle drivers about how and why bicyclists travel the roadways in the ways they do with the objective of developing a shared understanding for all users. 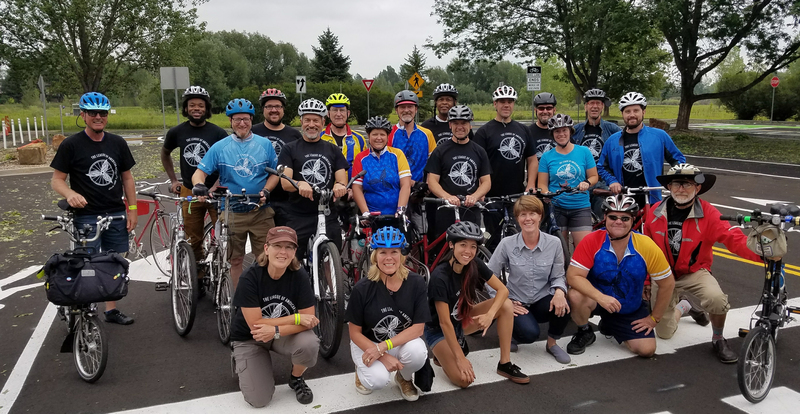 The League has coordinated with the city to repackage the program materials to be distributed nationally to its network of nearly 6,000 League Cycling Instructors (LCIs). “We are thrilled to be offering this very important curriculum to all LCIs, we hope it is put to use right away,” said Bill Nesper, Executive Director at the League. The League is excited to offer a bike education component that reaches new audiences and expands the idea of bike safety to roadway safety. “This is a critical training for any roadway user and especially important for organizations that are responsible for who they put behind the wheel,” added Bill Nesper, League Executive Director. Alison Dewey is the League’s Director of Education.